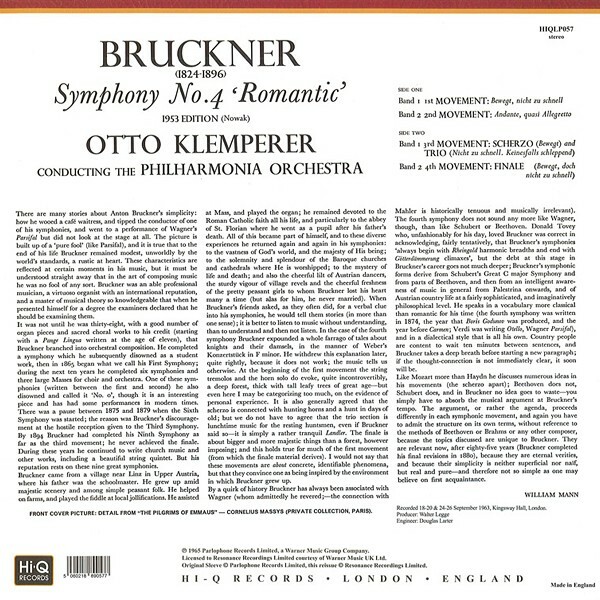 Otto Klemperer conducts the Philharmonia Orchestra for this recording of Nowak's 1953 edition of Bruckner's Fourth Symphony. This is one of four LPs that EMI released for Otto Klemperer's 80th birthday in 1965. 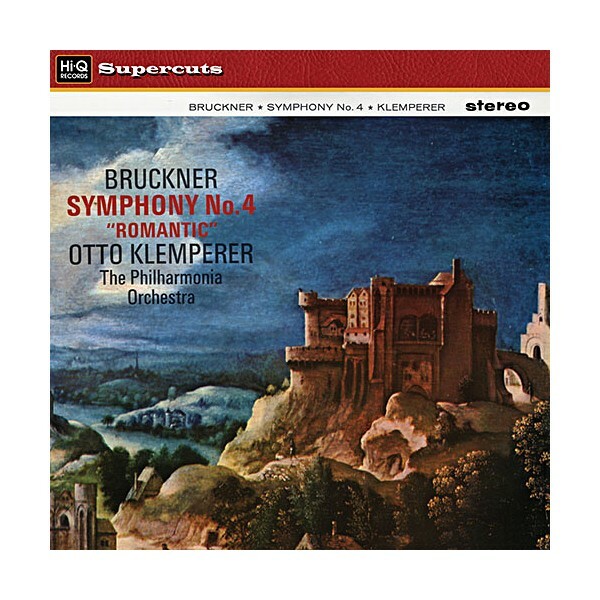 Bruckner's Symphonies were relatively unknown to the record-buying public in the 1960s, when complete cycles, like Bernard Haitink's were still in the process of being recorded. 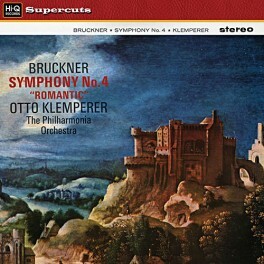 Klemperer uses the Nowak edition of 1953, based on the 1886 revision of the score and gives and idiosyncratic interpretation, with outer movements faster than you would expect from this conductor, that nonetheless preserves the architecture of symphony, captured in vintage EMI/Kingsway Hall sound. "This is one of those rare occasions when a Bruckner symphony is presented in a single span, and the blazing climaxes seem all the more inspiring because they're revealed as growing quite naturally out of what has gone before... Klemperer's performance has a mighty and noble objectivity throughout."